The newest addition to the 2018 Forever Stamp program celebrates the beloved animated Great Dane Scooby-Doo, brought to you by the U.S. Postal Service in collaboration with Warner Bros. Consumer Products. The Scooby-Doo! stamp was issued on July 14 during a first-day-of-issue ceremony at the Mall of America in Bloomington, MN. 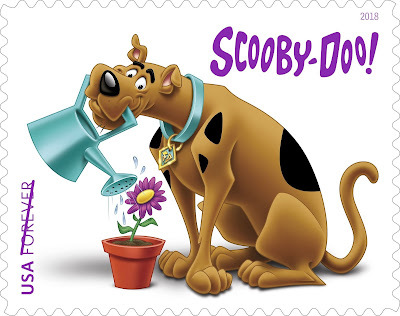 This 12-stamp sheet features Scooby-Doo helping out by watering a blossoming plant in a flowerpot — a simple act symbolizing efforts to provide young people with tools and activities geared toward enriching the environment. News of the stamps is being shared using the hashtag #ScoobyDooStamp. "As he approaches his 50th year, Scooby-Doo and his legacy represent resilience and staying power — very worthy characteristics for a stamp subject," USPS Product Innovation Vice President Gary Reblin, who served as dedicating official at the ceremony, said. "It's our pleasure to commemorate this cultural icon known for his mission to help others; as an organization, we relate to it well." Joining Reblin at the ceremony were Josh Hackbarth, vice president, franchise management and marketing, Warner Bros. Consumer Products; and Kiya Edwards, KARE 11 reporter, who served as emcee for the event. The lovable, iconic Great Dane Scooby-Doo has solved mystery after spooky mystery since his 1969 debut. With his teenage friends — Fred, Daphne, Velma, and Shaggy — Scooby is at the heart of one of the most enduring cartoon franchises in television history. 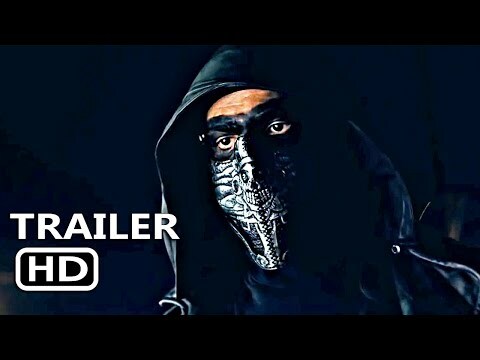 The charismatic canine has now fronted more than a dozen TV series, plus direct-to-video animated films, comic books and live-action cinematic releases. In Scooby-Doo's comedy-mystery adventures, he and the Gang investigate strange plots in eerie locales as they travel in their colorful van, the Mystery Machine. Always on hand are Scooby Snacks, the tempting treats that empower Scooby to sniff out clues. Once the Mystery Inc. Gang musters courage, cooperates and persists in their dogged investigations, the spooky schemers' plots are exposed. Three generations of fans have now embraced Scooby-Doo and the "meddling kids," as they are often called by the villains unmasked at the conclusion of each Scooby-Doo mystery. Art director Greg Breeding of Charlottesville, VA, worked closely with Warner Bros. Consumer Products to design this stamp. Its bright, cheerfully-colored artwork features Scooby-Doo, shaded with an airbrushed look that gives dimension to his animated form. Seated against a white background, in his mouth he holds a watering can — turquoise-colored to match his collar — and waters a potted flower. On each stamp, classic "Scooby-Doo!" lettering appears above him, to the right, in a style reminiscent of the titles that opened every episode of "Scooby-Doo, Where Are You!" 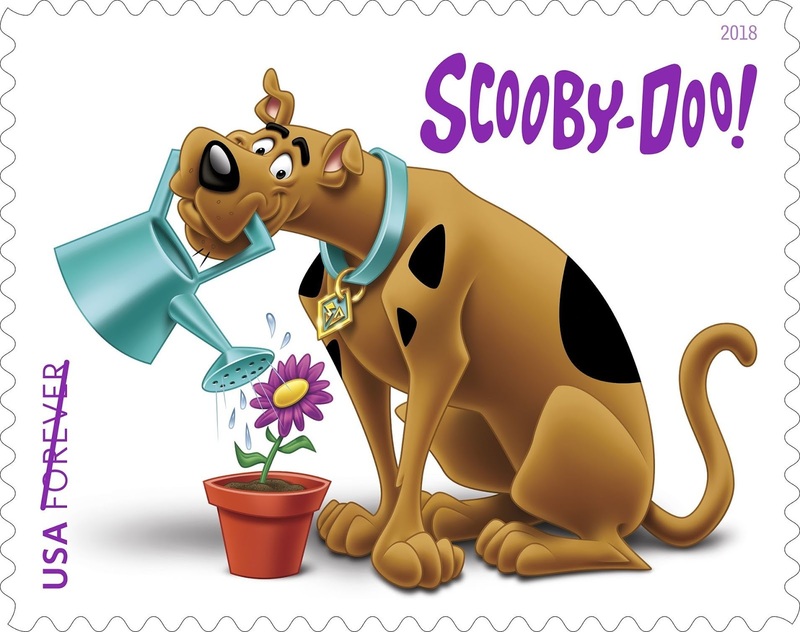 Customers may purchase the Scooby-Doo stamps through the Postal Store at usps.com/shop, by calling 800-STAMP24 (800-782-6724) and at Post Office locations nationwide. After applying the first-day-of-issue postmark, the Postal Service will return the envelopes through the mail. There is no charge for postmarks up to a quantity of 50. For more than 50, customers are charged 5 cents each. All orders must be postmarked by Nov. 14, 2018. The Postal Service also offers first-day covers for new stamps and stationery items postmarked with the official first-day-of-issue cancellation. Each item has an individual catalog number and is offered in the USA Philatelic Publication and online at usps.com/shop. Customers may register to receive a free USAPhilatelic Publication online at usps.com/philatelic . 565500, Scooby-Doo! Pane/12 (July 14) $6. 565510, Keepsake (2 panes) 13.95. 565521, Digital Color Postmark $1.65. Warner Bros. Consumer Products (WBCP), a Warner Bros. Entertainment Company, extends the Studio's powerful portfolio of entertainment brands and franchises into the lives of fans around the world. WBCP partners with best-in-class licensees globally on an award-winning range of toys, fashion, home décor, and publishing inspired by franchises and properties such as DC, the Wizarding World, Looney Tunes and Hanna-Barbera. The division's successful global themed entertainment business includes groundbreaking experiences such as The Wizarding World of Harry Potter and Warner Bros. World Abu Dhabi (opening 2018). With innovative global licensing and merchandising programs, retail initiatives, promotional partnerships and themed experiences, WBCP is one of the leading licensing and retail merchandising organizations in the world.